Thinking of Getting Help with Drug Treatment? 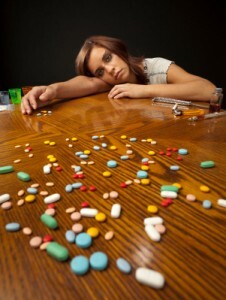 Drug Treatment : Thinking of Getting Help with Drug Addiction ? It is very difficult for people to begin seeking drug treatment. Usually, a person is having a lot of problems with their family and work. Some people don’t really want drug treatment, but they know there needs to be a change. Life is spiraling out of control. Friends tell them to consider getting drug treatment. Employers are threatening to fire them from their current job. If you are ready for a change, then look at our list of drug treatment centers in your area. Drug treatment is not the same for everyone. Some people will prefer going to group therapy, others will go to individual counseling. Many people begin the process of recovery by starting at a drug treatment center. Drug Treatment Centers : What Happens? When you are admitted to a drug treatment facility, you will receive a physical exam and a psychiatric assessment. Quite often, patients needing drug treatment have other psychiatric illnesses that need to be addresses. These might include: depression, bipolar illness, and panic disorder. There are many other psychiatric disorders that one needs to be evaluated for having. A physical examination is done even at psychiatric drug treatment centers. This is important because many have neglected their physical health while using drugs. Nutritional counseling is usually part of treatment to help the body recover. Many people respond to getting in touch with their spiritual side and counselors at drug treatment centers can help with this. People with an addiction to opioids may choose to start maintenance treatment or detox with either methadone or suboxone. Both these medications have been used for drug treatment of opioid addiction successfully. If one is addicted to other drugs may need time to just get away from the drug and their bad environment. This break is very helpful for many. At a drug treatment facility there are counselors who will help you individually or in groups. They help you find the specific issues in you life that have been driving the addiction. They are also there to help you map out a path of repairing the damage in your life. What About After Drug Treatment ? Drug treatment will usually last from between one week to one month. Some facilities that are classified as “residential” facilities may have people stay there for many months. However, the bulk of one’s treatment happens once they leave treatment. This is because drug addiction is a life-long illness. Following release from drug treatment, patients will follow-up with the drug treatment facilities’ outpatient program and then aftercare. This allows close follow up of any medication being taken, and also provides the patient with a lot of support. These meetings can be daily or several times per week. Those taking suboxone or methadone for opioid dependence will follow up with their own suboxone doctor or methadone maintenance facility. These clinics will either use their own counselors or refer patents to counselors. Since opioid dependence usually requires long-term maintenance treatment for the best results, this is usually done. Getting drug treatment does not have to be a frightening idea. Drug treatment is usually done in a comfortable setting. It allows patients to have their physical and mental health reviewed. It prepares the patient for the outpatient follow-up that is the most important part of drug treatment. How Does Suboxone Work (buprenorphine) ? If you are looking for information on drug treatment, suboxone treatment, methadone maintenance, please look through our site to find help. Visit our blogroll to find more information on other drugs. The following are a list of helpful articles.